WHAT A LOCATION! A traditional home nestled perfectly in a private cul-de-sac over looking the beautiful greens and a pond from a storybook backyard. This Bundy built custom home offers 3 bedrooms & 3 1/2 bathrooms. Intelligent layout. A spacious extra room with a bathroom could have endless possibilities. Charming fireplaces in the family room and the great room. 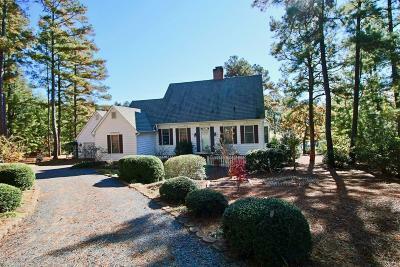 Priced at recent appraised value range by Carolina Appraisers.